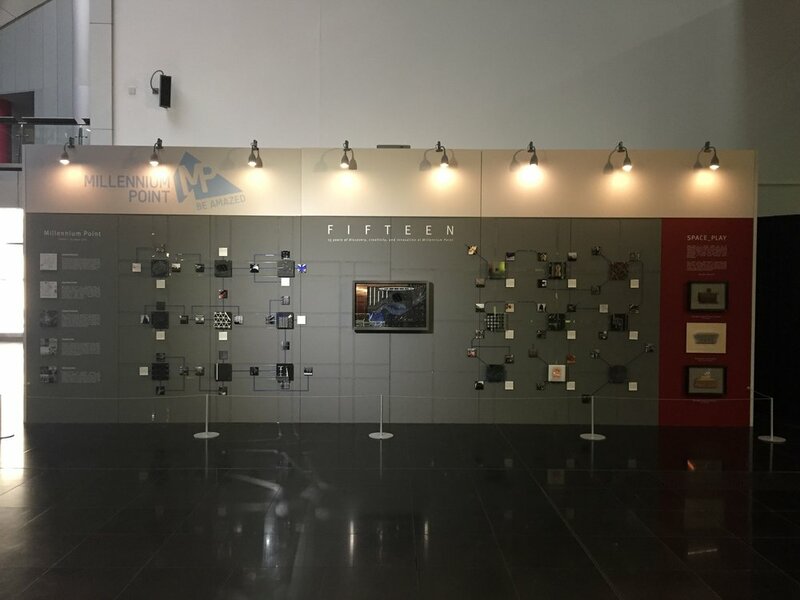 We were commissioned by the Events Management team at Millennium Point in Birmingham to create a custom 3D artwork for an exhibition as part of the fifteenth anniversary of the building. Our approach to the project was heavily inspired by our background in architecture and we worked to develop an exhibition that portrayed the building’s intricate and connected physical and social features. We began our work as a building study on Millennium Point that investigated the history, architectural design, and uses of the building. For us, the journeys we take in these studies are as important as the final artwork that comes out of them. So this exhibition was really about that journey of investigation we had taken, rather than a singular visual representation. Our methodology for creative design is based on the conceptual exploration of our findings. Our process of designing the artwork was shown as an abstract narrative that identified and explained all of the elements within the final piece. 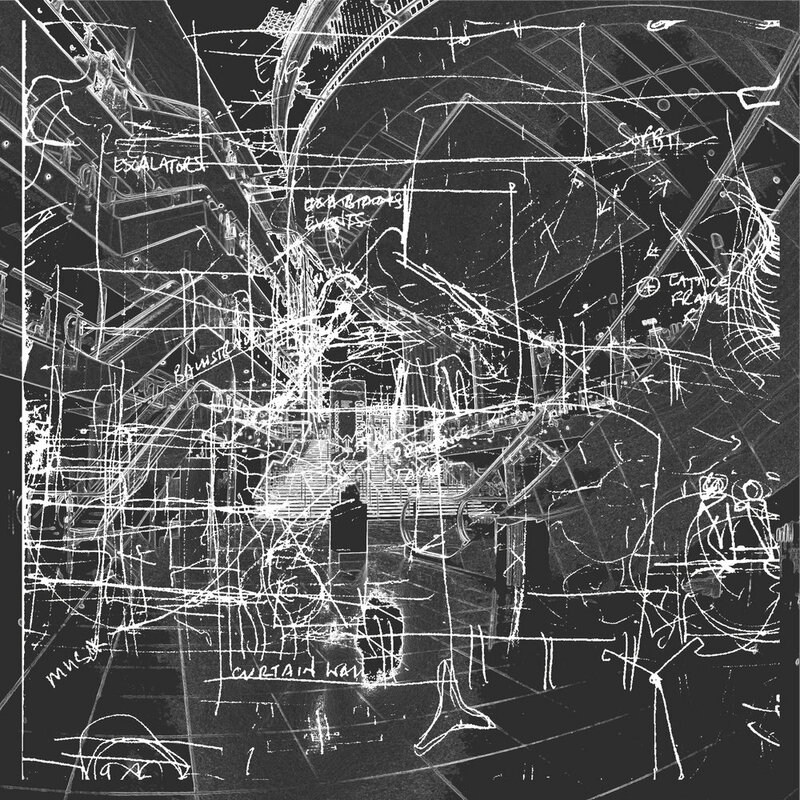 The overall exhibition therefore became a layered and interconnected series of exploration diagrams, as the linking references between the building itself and the main piece of art. We tested and developed our conceptual design ideas through a rigorous play with material combinations. The technical part of turning our ideas into physical elements that can be produced and constructed was the most intense and challenging part of our design process. But the experience of creating a physical object based on our conceptual ideas was highly rewarding. The exhibition was designed to be assembled with modular and repetitive systems based on the modular construction systems of Millennium Point itself. However by layering these modules we were able to form dramatic visual effects. Through this we tried to express and celebrate the dynamic and integrated patterns of the physical elements and the social stories throughout Millennium Point.